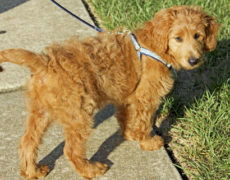 The Toy Goldendoodle is a breed dog that has been developed combining three different breeds – the Golden Retriever, the Poodle, and the Cocker Spaniel. 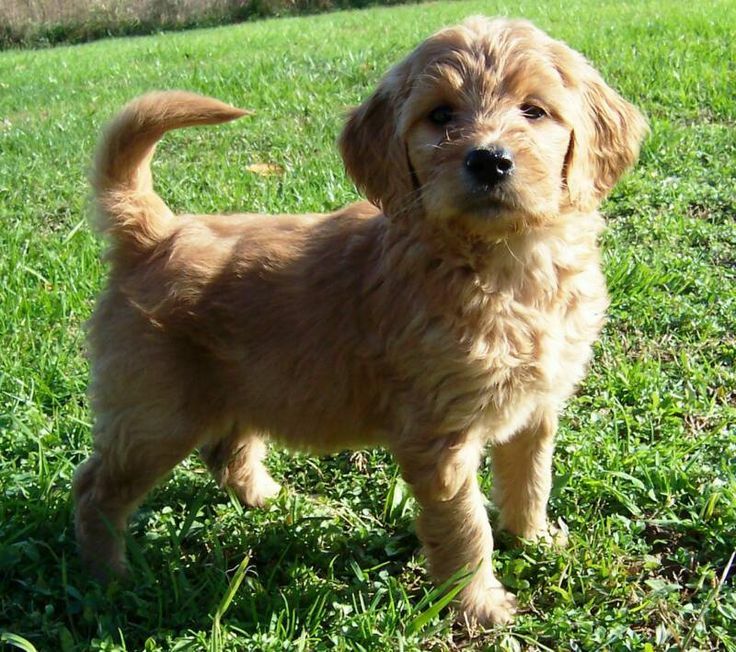 This mixing has purposely been arranged by the breeders with the aim to develop a tiny-sized Goldendoodle. In order to accomplish the desired size, the breeders initially downsized the adult female golden retrievers by crossing them with the cocker spaniels. 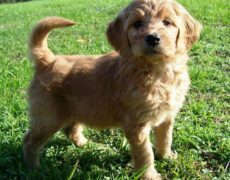 This gave birth to a breed named Golden Cocker Retrievers, which in turn were bred with the miniature poodles. 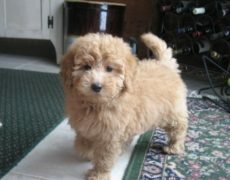 The puppies that came from this breeding are the Toy Goldendoodles. 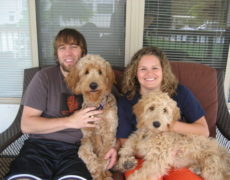 Thus, this resultant new breed is a ¼ Goldendoodle, a ¼ Cocker Spaniel, and a ½ Poodle. 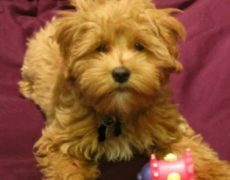 The Toy Goldendoodle is a very small-size dog with a teddy bear look, covered with curly hair, having round black eyes, a dark muzzle, with their ears hanging close to their shoulders. 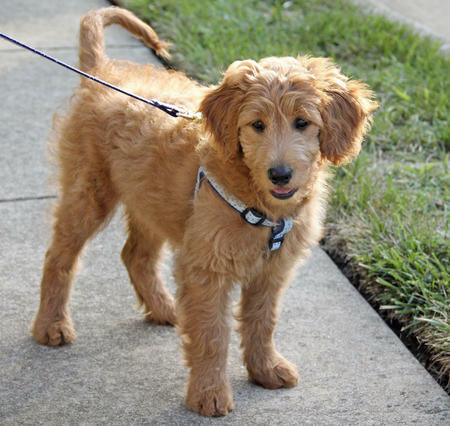 Petite Goldendoodles are small dogs with big personalities. They are very obedient and are quite attached to their families. Their intelligent nature helps them bridge an understanding between their human companions. They can also make good therapy dogs and can be good for elderly people. They are social dogs that would be happy mingling with people. The Petites are even tolerant with strangers, children, and pets. Because of their smaller size, they make excellent apartment dogs. They are usually quiet though will bark to alert their families if they see an intruder. This makes them a good watchdog. 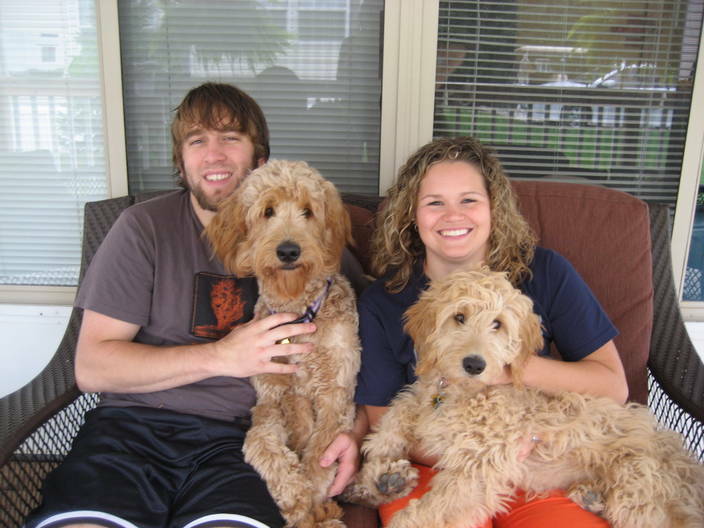 These little ones have derived their intelligence and loving nature from their Poodle and Golden Retriever families. Though, despite having multiple good qualities, these dogs tend to get in mischief, and might even pick up behavioral issues if left alone for very long periods of time. 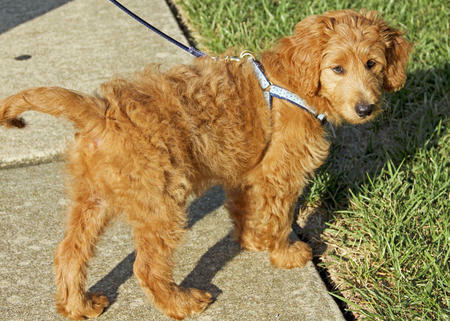 The Petite Goldendoodle is fairly active, and is in need of regular exercise for maintaining general fitness. Taking it out for moderate walks, and allowing it to play inside a safe enclosure would also meet with its need of exercise and satisfy its playing instinct. Occasional trips to the dog park too is a great idea. 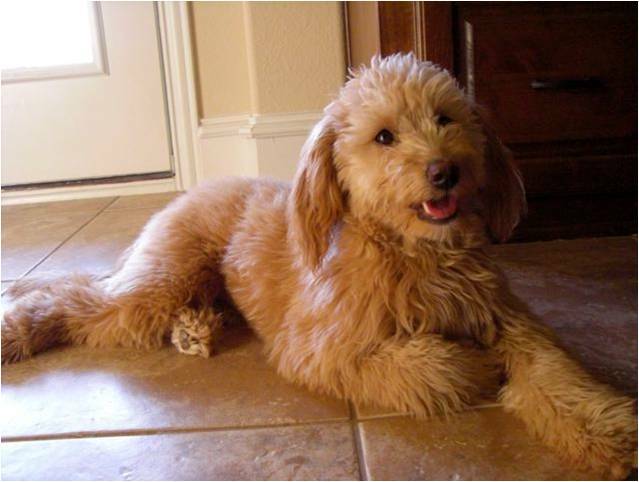 Toy Goldendoodles have medium long hair and would need a moderate amount of maintenance. Their curly or wavy coat needs your attention at least once or twice a week. Brush them with a soft-bristled brush to ensure hygiene. You should also take care that their hair does not get entangled out of negligence, and stay clean. No breed specific health issues have been noticed in the Petite. Though, you must not rule out general issues like dysplasia, cataracts, Progressive Retinal Atrophy, and a few of those that are common to all breeds in general. Also, before bringing your puppy home, be sure to ask your breeder about the genetic histories of your pup’s bloodline. 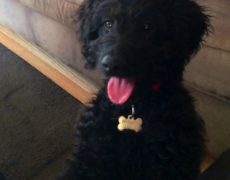 It is fun to train your Petite Goldendoodle. They are inclined to listen to your commands and impress you. 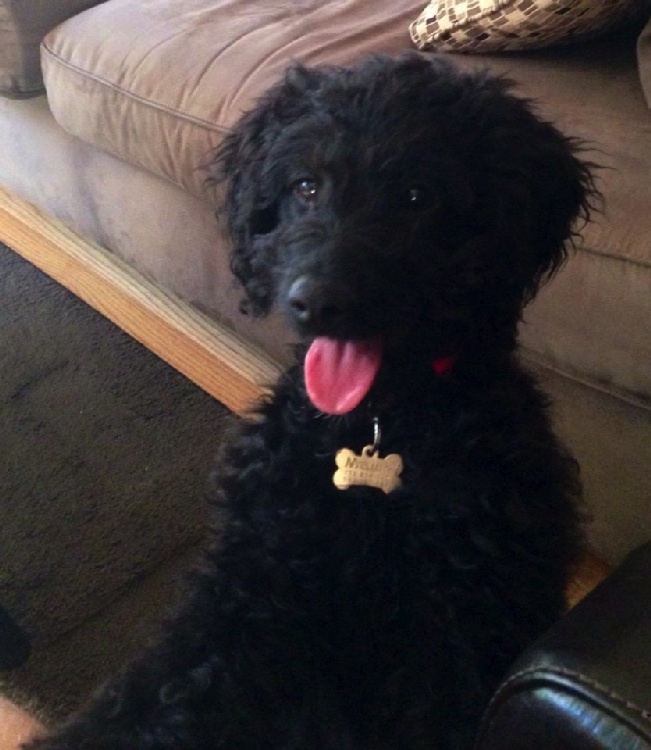 Their intelligence, obedience, and love for learning new things make them easily trainable. Train them to socialize from their puppy days. Also, teach them doggie manners and etiquette, since they are prone to develop behavioral issues when adult. They require few repetitions in picking up instructions, and would show quick results. Hence, they are even suitable for service dog training. The general quantity of your Petite’s diet is the same as the other tiny dogs of its size, and levels of energy and activity. Though, if you serve your dog with dry foods like kibbles, the quantity depends on the brand of food you are serving. Also, make sure, that you stick to only the high-quality foods. 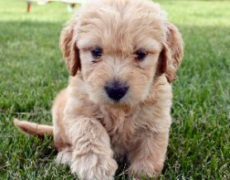 All the Petite Goldendoodles belonging to the first generation (F1) have been conceived using artificial insemination. Of late, other than Cocker Spaniels, other types of spaniels are also being used by many breeders for developing the Petites. Hence, it is wise for the owner to ask the breeder about the pup’s exact lineage. The Toy Goldendoodles can adapt very well to confined spaces. Do you have any toy golden doodles available? 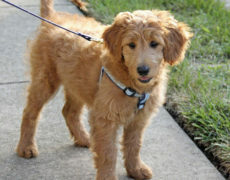 Check out Goldendoodle Association of North America for breeders of all sizes of Goldendoodles. You are not going to find a petite or micro mini (as some are using this term) for less than $2500. Most are $3000 and more. Achieving this smaller size takes patience and time. Also fewer puppies per litter in most cases. 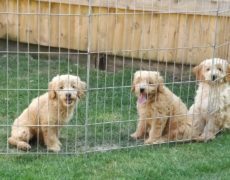 Breeders who don’t follow the standards for breeding as outlined by GANA will have cheaper puppies, but they might have more genetic problems. I have an f1b petite GD I got from a breeder in SC for $2200 last Dec. Weights 8.4 lbs at 16 weeks. Looking for a toy goldenrod 10- 15 pounds. I live in NJ. Where are you located? What is the price? 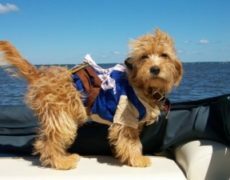 Looking for a small/miniature golden doodle for stud service. We are located area the Atlanta, Ga area. I’ve been looking for this type of dog but they’ve always been so expensive. I was wondering where you got this little guy?? I love these dogs. I would like to purchase one, but can’t find one that is available anywhere near me. 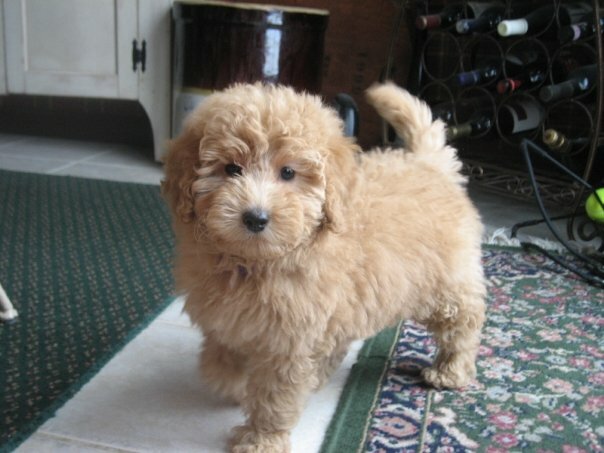 I would like a female mini golden doodle. willing to pay up to $500. Looking for an older doodle to purchase. Do you know of one? 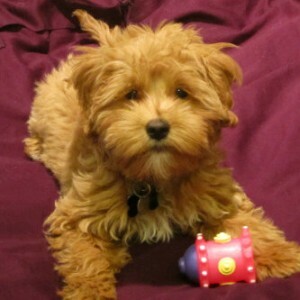 Where did you find the toy goldendoodle? 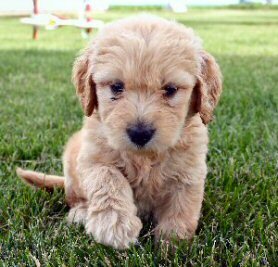 Interested in finding a mini golden doodle. Prefer the reddish or beige color, Male preferred. What is the cost and where are you located? 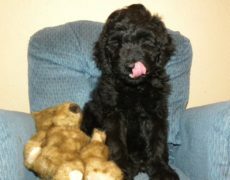 Interested in a male mini golden doodle. Hi I’m would love to get a puppy for my sons. One of my sons has a disability and I want to get the dog trained for him as well. Do you have any puppies available? Hello there interested in purchasing one of your doodles. I would like the info to contact the breeder where you got your puppy? I would love to have one! We are interested in D.J. 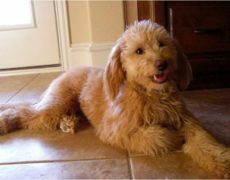 the Toy Golden Doodle. We may want to look at others, if you have more. Is D.J. a boy or girl? flat5.net Does anyone else have a reccomendation of a breeder? We are in Arizona but will drive a reasonable distance. Thanks. I am interested in a cream toy or petite golden doodle. Do you have any?